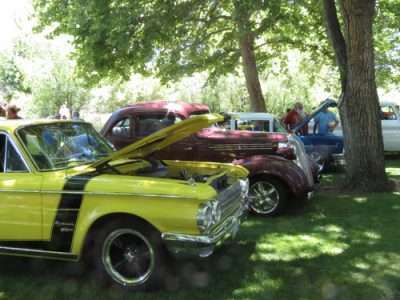 With classic cars and motorcycles lining what seemed like every free space of Memorial Park, the 26th annual Main Cruise Classic Car Show ‘n’ Shine Saturday, June 30 had something to offer every one. Everywhere you turn at the Main Cruise Classic Car Show ‘n’ Shine was a new vehicle to explore. 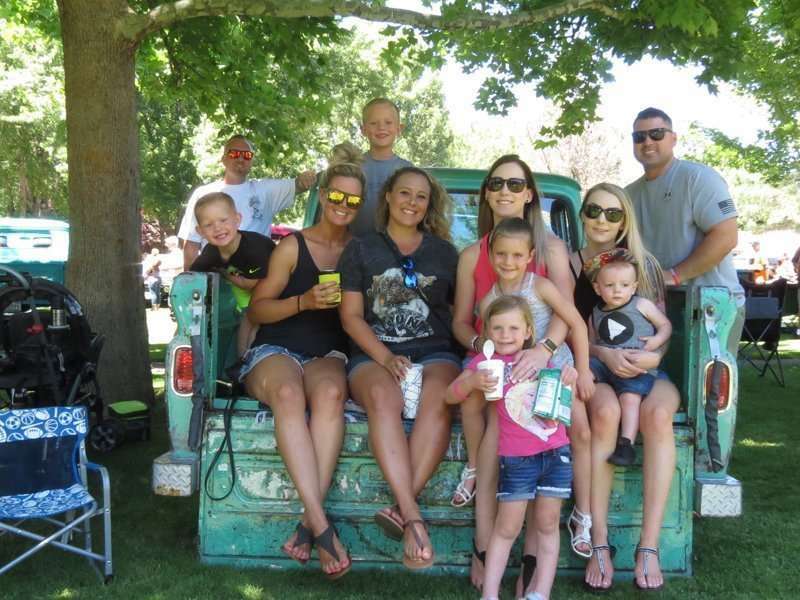 This year, according to Lassen County Chamber of Commerce Executive Director Patti Hagata, with 115 car entries this year, it was the largest Main Cruise event in eight years. While the exact number of Main Cruise attendees cannot be calculated, Hagata noted the park was full of spectators all day. Best of Show went to Rocky Langslet with the 1941 Willys Coup. Dan and Nikki Granholm nabbed People’s Choice with their 1937 Chevy Sedan Delivery. 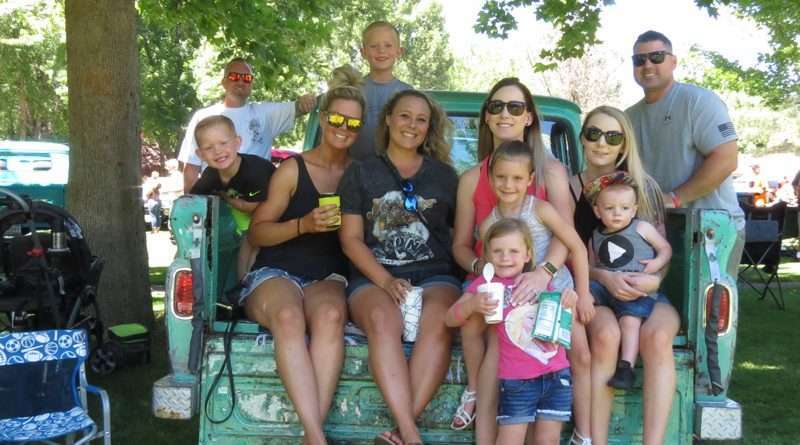 For the Club Car Aware, the Roamin’ Angel Car Club from Grass Valley, California nabbed the title. Diamond Mountain Casino: Dave and Sue Garber with a 1932 Ford pickup. Les Schwab Tires: Tom and Michelle Brown with a 1965 Ford Mustang. Valley Yellow Pages: Tim Adler with a 1968 Chevy Chevelle. HUSA: Bob Whitaker with a 1960 Buick Invicta. Wheels West: Richard Hadley with a 1963 C10 Chevy Pick up. Susanville Ford: Doug McDonald with a 1966 Pontiac GTO. Mandy McGarva, CPA: Jim Fallis SR with a 1956 Chevy Nomad. City of Susanville: Harold Kimbriel with a 1967 Chevy Camaro. Lassen Auto Body: Shane Honeycutt with a 1961 GMC G10. Skyline Self Storage: Pat Hadley with a 1946 Chevy pickup. Sierra Radio Network: Jesse-Ray Morring with a 1975 Ford F-250.